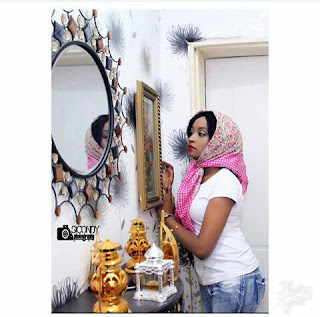 Nigerian actress, Rahama Sadau who got fame after she got controversially sacked from Kannywood for featuring Arewa finest, Classiq on one of his hit track "I LOVE YOU". Now she has started paying one of the price of fame as a stalker has been disturbing her on social media. 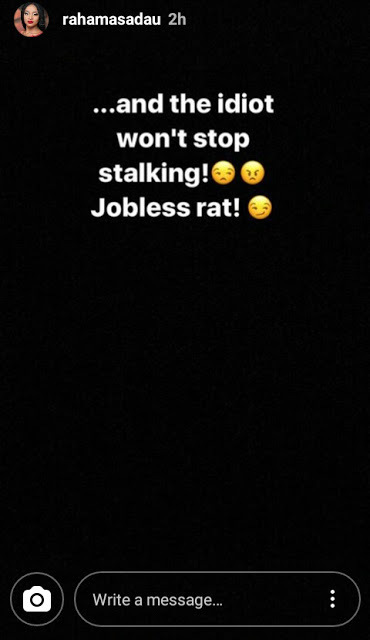 She was angry and had to call out the stalker.